Tim Burke addresses athletes at last week’s biathlon camp at Auburn Ski Club. 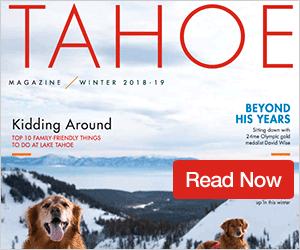 In a sport combining clashing disciplines of cross-country skiing and its rigorous output, along with the stillness and patience of shooting, it helps to have the nation’s greatest biathlete on hand to offer tips and advice. 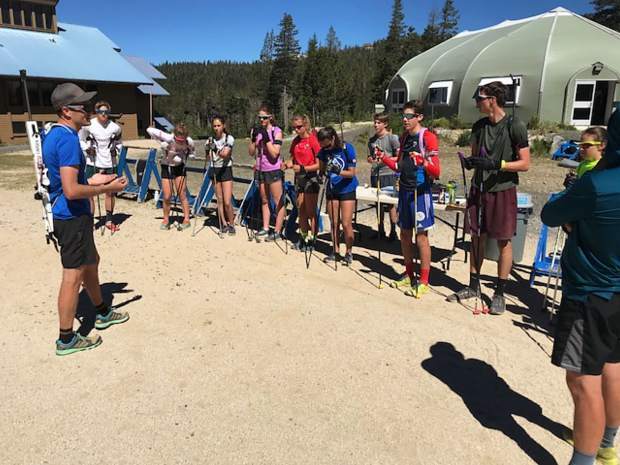 Last week at the Auburn Ski Club, members of the club’s biathlon team received such instruction as retired four-time Olympic biathlete, Tim Burke, led 11 youngsters through a four-day camp atop Donner Summit. “Overall, it was a great group. It was really nice for me because they were all at a similar level,” said Burke. Madigan recently was named to the U.S. Biathlon Development Team after finishing the year ranked in the top three for U18 athletes in the US; while Burkhart, who finished his sophomore year at North Tahoe, took fourth at last year’s California Nevada Interscholastic Ski and Snowboard Federation Nordic Championships. 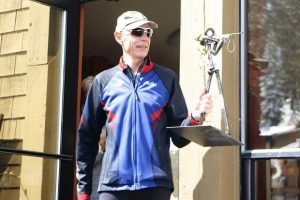 The camp’s leader, Burke, retired after this past season as the country’s most decorated biathlete and is also one of two Americans to win a World Championship medal, capturing second place in the 20-kilometer sprint in 2013. Burke raced to three top-20 finishes at this past Olympics, including a sixth in relay. He has since transitioned from athlete to development manager for the US Biathlon Academy. “I don’t know if the kids understand how cool that was to have a World Cup athlete, fresh off the World Cup, the most successful American biathlete, come and work with them individually,” said Biathlon Director & Head Coach Glenn Jobe. The group of athletes from Auburn Ski Club’s biathlon team took in several full-day lessons from Burke, focusing mostly on being successful with the rifle in prone and standing positions. Aside from the shooting aspect of the sport, Burke said he spoke to the campers about their mental approach. In a sport famous for its unpredictability, Burke was able to share with campers his experiences of quickly falling out of contention one day, and then coming back to win a race the next. The athletes at Auburn Ski Club also benefited from having two of France’s best biathletes in their individual age groups, Maya Cloetens and Zellie Pottecher. “They were a great addition to the camp,” said Jobe of the two who are training with the team throughout July. Going forward the ski club hopes to start an exchange program with biathletes in France, with plans of sending a couple locals to Europe next summer. “For our kids, I don’t know if they could’ve had a better opportunity or experience,” Jobe said. For Burke the camp marked his second time teaching youngsters since accepting the role of the program’s development manager. 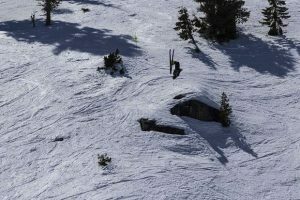 Since his early days of competing in the late 1990s, Burke said the sport has grown by leaps and bounds in the US, and that he was impressed with program at Auburn Ski Club. “When I started on the World Cup the team used to celebrate when we scored one point, now we’re not satisfied unless we get someone in the top 10. 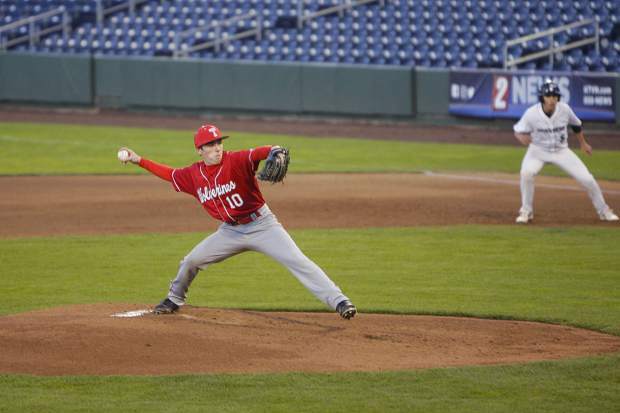 Hopefully, this next group will top our team,” said Burke.